Anthony Ferraro won his 2nd District Title and Matt Caracappa knocked off the 5th, 1st, and 3rd seeds to claim his 1st, as St. John Vianney crowned multiple champions at the District 21 Tournament for the first time since 2004 on Saturday. 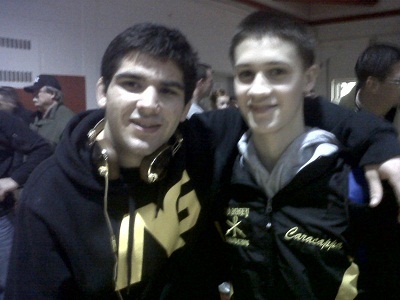 With their wins, Ferraro and Caracappa receive byes into the quarterfinal round of the Region 6 Tournament on Friday night. Also qualifying for the Region Tournament is Nick Cioffi who placed 3rd in the 145-pound weight class. Cioffi will compete in the opening round of the tournament on Wednesday night at the Pine Belt Arena in Toms River. With just a handful of seniors, the 2012 Lancers will be a young group, but they will not be short on talent or experience. Four wrestlers with 20+ wins, including a pair of 30+ winners, return as do ten others that saw nine or more varsity matches in 2011. The lineup is senior-free from 106-138 and is highlighted by sophomore Terrence Davis and junior Tim Duffy. Davis was one of the best freshman in the Shore in 2011, recording 33 victories and earning a trip to the Regions with a 3rd place finish at Districts. Duffy is a third year starter with 37 wins in his first two seasons. Peter DeRosa is another returning starter coming off a strong freshman season that saw him record 16 wins. This group will also be bolstered by the addition of junior Matt Caracappa, a transfer from Freehold Twp who recorded several impressive wins last season. 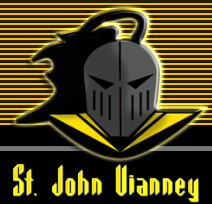 Vianney has a pair of District medal winners returning to anchor the middleweights in senior Nick Cioffi and junior Anthony Ferraro. Cioffi is a bonus point machine, winning 21 of his 27 bouts by pin, while Ferraro has won 49 bouts in his first two seasons as a starter for the Lancers. 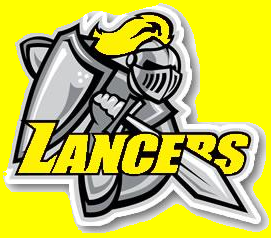 Like many other teams, the Lancers will have some work to do to fill in the extra upperweight slot. They do have some experience back with Matt Falco, Eric Gomez, and Ed Lettig, while underclass newcomers Tom Reese, a sophomore, and freshmen Phil Walsh and Pat Lynch will contribute as well. The Lancers have a young roster, but they have proven winners in the lineup. This is a team that won 24 duals last year, and although they lost over 100 wins to graduation, this lineup has enough talent to approach that number again in 2012. A returning District champion, Ferraro finished one win shy of a medal at the Region 6 Tournament last season. With another full year of experience under his belt, and a taste of wrestling deep into the Regions, Ferraro seems primed to make a run at a bid to Atlantic City in 2012.